We are seeking a talented Communication Specialist - Social Media to plan social content calendar and create compelling posts to engage the audience and communicate with the community. As a Communication Specialist, you will spend most of your time researching and learning the industry trends and news, writing engaging posts, interacting with followers, testing out marketing tactics on various social platforms, such as Twitter, Facebook, Telegram, Reddit, etc. You will join a multi-disciplinary team where everyone is willing to expand their knowledge and are encouraged to continue learning new things. The team is characterized by passion, open-mindedness and the faith of the cutting-edge technology – blockchain. We can offer you a dynamic, fun environment with a friendly atmosphere and many creative colleagues. • Competitive compensation based on experience. • Flexible work from home policy. • Great new office with a cool vibe. • Unlimited free coffee and snacks. • Merit-based bonuses and stock options opportunities. • Support to design and implement social media (paid & organic) communications/marketing strategies to reach, engage, convert and retain target audiences based on brand strategy and business needs. • Social media communications content development – the creation of audience-driven content for various social media platforms and adaptation of content from a centralized content team. • Work with design team to execute and own creative social media/digital marketing campaigns and initiatives to generate brand awareness, grow up channels, drive top of funnel traffic and engagement. • Keep exploring new digital/social media platforms/applications. • Leverage and analyze “big data” from social listening, campaign tracking, competitive monitoring, and media to explore deep-insights of consumers, to improve planning. • Recruit digital/social media agencies to support programs, campaigns and community management. • A strong mindset to drive business value via exploring social CRM/leads generation/Influencer engagement, and other new digital tactics. • Create job scopes, establish timelines, and meet deadlines. • Work independently to solve problems. • Minimum 2 years of marketing experience with hands-on experience in social/digital communications/marketing. • A smart creative with strategic thinking, curiosity, priority-setting, and self-motivation. • 2C industry know-how and experience will be a plus. • Strong project management skills when working in a team across functions. • Excellent social media content writing. • Must be a strong team player with multi-task capability. • Ability to work independently and prioritize effectively and balance multiple, disparate work streams. • Fast learner, passionate about learning new things. • Pay strong attention to details. • Native English speaker and other languages will be a plus. • Interested in Blockchain and crypto space. • Experience working at a fast-growing startup. • Experience working in international companies. • Experience working in the gaming industry. 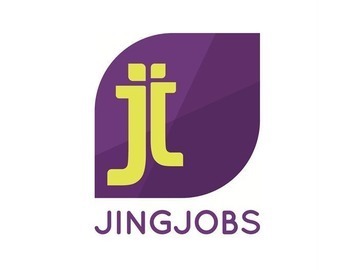 JingJobs, launched in May 2014, aims to help young, bilingual and local job seekers find jobs in cities like Beijing and Shanghai. We are keen to help Y to establish contacts with entrepreneurs and other small and medium enterprises through our unique platform. Similarly, we strive to help start startups, find core team members efficiently and effectively, and find employees and interns through our service, human resource manager. We provide support in all core human resource processes - from identifying needs and job vacancies, assisting in recruitment, selecting processes to the training process.